Groundsel. 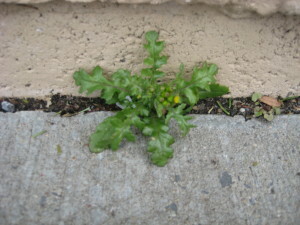 A tiny plant, growing close to the ground. 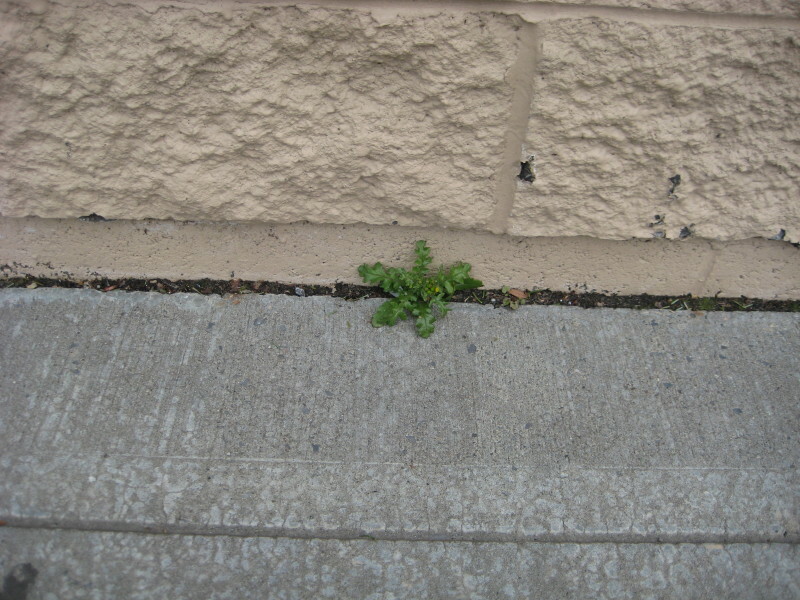 A dandelion relative, a hardy little plant, able to cope with the forbidding habitat of the Price Chopper parking lot. The name comes from ground Old English grundeswelge, from grund ground + swelgan to swallow. But why is this? Why did the ancient Anglo-Saxons, no fools where botany was concerned, use the word swallow in describing this inconspicuous little pasture flower? Well, it must be tasty, you’d think, a likely salad green. But it’s resoundingly not edible. Many species of the genus Senecio contain significant amounts of pyrrolizidine alkaloids, nasty toxins which cause irreversible liver damage over time. This is, in fact, a plant that you definitely don’t want to swallow. 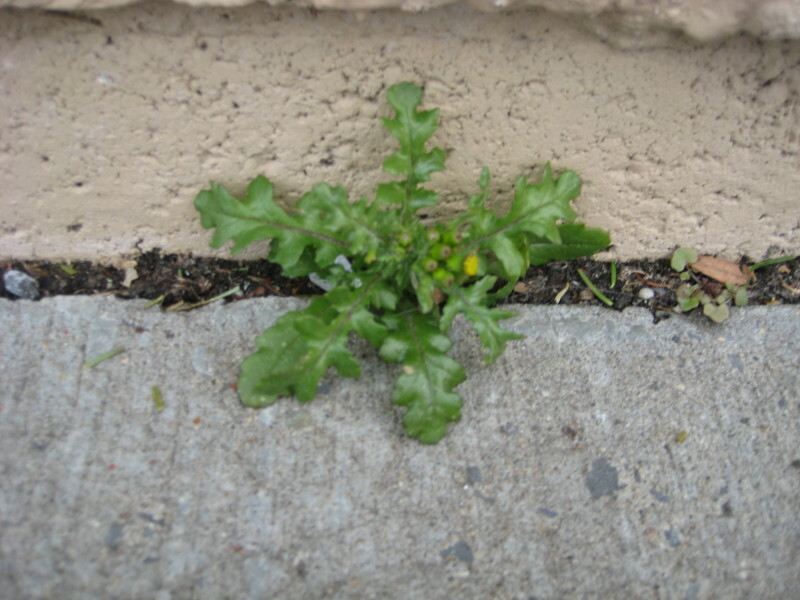 It was, and is, sometimes used as an herbal medicine, mostly as an emetic (to make you throw up) but even small amounts can cause liver damage, so groundsel tea is not a natural cure to experiment with. It can poison cattle and horses as well as humans, and so it would be an unwelcome sight in a pasture, where the aggressive little plant would be a threat to grazing livestock. I would suspect that the Anglo-Saxons saw groundsel not as a plant to swallow, but as a plant that would swallow the ground, growing unchecked over the fields, taking over whole pastures. This grocery store sits on what was once undoubtedly farmland. This groundsel is a tiny remnant of a long-gone pasture. The cows and horses are gone but the the powerful little poisoner still lurks outside Price Chopper. It is used as a poltice for reducing swelling and fevers and can be used in a milk bath to soften the skin, as well. How interesting! I didn’t realize that. Thanks! Wow. Tiny devil lurking. Sounds like the makings of a great mystery novel plot! Yes, I would think poison would be hard to detect as a cause of death, particularly in the past.